The European island of Malta; famous as a travel destination is aspiring to be much more. By taking the lead in progressive regulatory framework for cryptocurrency related businesses, Malta has become the choice destination for cryptocurrency exchange license seekers. The Malta Financial Services Authority (MFSA) is the governing body with regulatory oversight for securities and financial instruments, including issuing a Malta cryptocurrency exchange license. The MFSA recognizes that cryptocurrencies and its underlying blockchain (distributed ledger) technology might represent a new, unique asset class and as such require custom regulatory framework for its governance. On 4th of July, 2018, the Maltese parliament passed three bills into law namely: “The Malta Digital Innovation Authority Act, the Innovative Technological Arrangement and Services Act, and the Virtual Financial Asset Act” giving interested investors a clear picture of the legal framework behind setting up a legitimate cryptocurrency business in Malta. Against the backdrop of these bills, the MFSA has been able to create a contained environment for innovators to test their concepts and solutions. The Virtual Financial Assets Act (VFAA) defines four classes of virtufal financial assets (VFAs). Cryptocurrency exchanges fall under class 4 – which covers provision of VFA services and holding of client asset. To obtain the license to set up and operate a Maltese cryptocurrency exchange, interested parties must satisfy the requirements of the VFAA to be considered fit and proper by the MFSA. The minimum capital requirement is set at 730,000 Euros. Where the company must own at least 56% of the total equity capital, and hold in liquid assets up to a third of the overhead as calculated by rules set out by the MFSA. The cryptocurrency exchange must put in place arrangement that safeguard their customers assets. This means appointing a VFA agent; a person with sufficient skill as determined by the MFSA whose responsibilities include but is not limited to filing the application, and liaising with the authorities on issues related to compliance. The company must instate a board of administration chaired by an individual different from the CEO. There must be at least 2 directors, an anti money laundering Officer, a risk Manager and an Auditor. We are advisory and representative experts within the sector of corporate and financial services. Cryptocurrency related businesses are relatively in their infancy, our seasoned expertise and conversance with special Jurisdictions like Malta, means you’ll not find a more reputable partner than us in this space. If you are interested in applying for a virtual financial asset license in Malta or an alternative jurisdiction then contact us for an independent assessment and solutions. Is Physical Presence in Malta required? In the case the applicant is a natural person, physical presence is required. However, if the applicant is a legal entity, then it can be constituted abroad. Are there any restrictions on the nationality of applicants? There are no restrictions on the nationality of applicants. Everyone without a criminal background is welcome to apply. What is the application fee for a cryptocurrency license in Malta? Please contact us for a detailed breakdown of the associated costs. 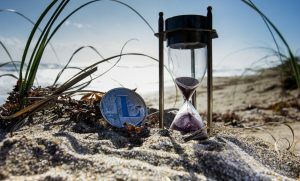 How long does it take to obtain a cryptocurrency exchange license in Malta? The entire process from the preparation of a letter of intent to the issuance/rejection of application will take between 3 to 6 months. Have a look at some of the additional services our clients have found to be helpful in the growth of their business. What is the Best Jurisdiction to Incorporate a New Forex Broker?